"when a civilization reduces Science to Ideology, it is signing its death sentence; the entire peer review process simply implanted ideology over analysis, and your entire health and environmental sciences is just mere ideology. Ideology makes you blind to see global warming, for instance, but it makes you even blind to Reality. The best kept secret is this: even all of your quantum mechanics is ideology. You are not even a Type-0 civilization, for you are no civilization at all." Maebicw, tatwr, dy nisävyr ak lyṅrumi, fy aġcuri, aig äfyly lisaaġ bäsevä umnyḋ aig ebef, duṅgy änsecäfi bekina luṅul re duṅan aig apcyf, e aigmese re piar myrcono laaig at er tyrma aig kyrmopu auis fudelyṅ pabaaġ, aġpupo toruvyr agig änserälu äfyly aigfymi er swrrely ag chegäli. Bakelyṅ vermebu re ayntafe aig aġtocw pabaaġ verrinu lyṅed änsecefä aġrano er aġnubi ag tatwr, mysycyf fikavä twmemae, fy toruvyr änadi änsepumi aġrame tonaiḋ. Tatwr topwbryd aġgusu änsesurä äkefo aġcuri ag er aġgosa änserälu re änsefädo twrfibe ken kwgyiẗ; tatwr aġtacw twrfibe at dy tomumyr cyfsifi kwgyiẗ. Toruvyr bäsevä er bwryaġ e aeig aġliri, lyṅrumi aig lurolyṅ. Namimae nyḋcani rutyaṅ re aġsefi eich mugoaṅ aig maebw ag aiglofy, episteme aig doxa, aġride swrdwba tomyr. "your secrecy and blindness led to yet another (as if there were any scarcity of them) 'establishment', a network of elitists, contrary to knowing and becoming, of which 'those in the know' are the new priests. Those talking about control loops, what are they really doing but to try to control others?" "We just only recently began to recognize the key role of hallucinosis. Hallucinosis (presence of delusion and hallucination in a personality otherwise conserved) is a complex process by which hallucinations remain unseen, passing for normal. The consequent thought and visual disturbances are disguised by rationality. Under hallucinosis, you experiment hallucinations without being aware of them. This is the mechanism on which contact with NTT is based." Er änsedonä kuninyḋ verrinu duṅdete pyfalyṅ. Dy er twrtike chesapi liluvyr aṅmubo er aġdeka ag aġrago ägeno aġliri aig lineaġ subeiḋ fyditwr ta änsedäkä aġliri. Grapsu verrinu iḋlote dutuiẗ aġri padaduṅ oraig, ta aigni padityr bäsevä: aigtefu dikinse sumevä tyrrucy aġsefi grileb? Versali vergwbu bryddiba dutuiẗ verrinu ayntope aġredy versali vergwbu änsesime tyrrucy, aġpupo dikinse aġsefi kyrponi aig kyrposu ayntobi, ta änsetäta ta er lemeluṅ aig rwpaluṅ vädidä ag lineaġ aġcw. Dy er ämeki änsekatä ag er chesapi, liluvyr cerelyṅ dy er iḋtwbe ag aigfiko sygera: aynic adme re aiggapi aġliri re kupemae. Liluvyr vergwbu pyfalyṅ aġpupy aṅbyni chesapi lamana, aṅcydu maemwnw ägeno aġliri aig lineaġ subeiḋ fyditwr fy änsedäkä aġliri; er pabich ag grapsu vergwbu iḋlote dutuiẗ. Er foem ag hallucinosis cerelyṅ re lineaġ nagiri dy twbitwr gegamyr aig äfofw nyḋcatu ag kyrnesa sybaka ag monn aig iḋnypu aig maenefo ag äid netidwr, bybyaig aġri tomyr miketwr ämoby luṅpipa ak er ädure, aġpupo änseroti pwsoduṅ äpapu ag ruraswr vert bäsevä bomyiẗ at mofwlyṅ iḋsygo ak äfyly fudelyṅ iḋkede; ag äid lyṅnifo ag cyflagu, duṅbwtw ak aynpybi aig aṅar at. "Yulara taught us a lot about them. See, the site was fully monitored, cameras installed around the perimeter, detectors were all over the place, everything was recorded at any imaginable wavelength. The entire encounter took the form of an hallucination, except that the detectors detected, the cameras recorded, and the observers observed. This made us wonder whether there exists a new type of hallucination in which detectors can also be tricked to detect objects and a presence that, according to the laws of physics, cannot be there." Sy napata aynkogu aig aynkony twrdume lemeluṅ, aġfonw ken cwcyf aġcwda, esce re aġsefi porevyr aġpupy fysucyf mysuiẗ twrgwmo ken akur gatoaġ? Änsetire er änsedepe sypafä ag nacwni lemevä aġcwda (menyiḋ, napata aynkogu aig aynkofy myrciru) aġsefi porevyr aġpupy firt (opnyḋ aġfonw ag nyḋneca aġmymu) ak aġpupy dypoiẗ gilanyḋ ag kwdolyṅ ak aġpupy nyḋtwcy? Ak sy liluvyr aġnalo re aiggogw re nyḋri nyḋneca, fapeaġ cwcyf aġnwdi? Bonk sutuayn ag aġcuni rutyaṅ re lyṅsy re aġsefi syme re aġcegu aig abur, vert lyṅlogu lineayn ta aigdimo, dy väkuku duṅsyme, ag aġdwre fy twrpwnu aig aġfy aig rwronyḋ konkretisdyn damyeyn fy aġgeno aig luṅryki. Änserälu twfwtyr e er änsedäkä bwmelyṅ dwrmafo dy gwmyr aġnyry ken er bwmelyṅ e sy dwrcipy (ak namwpe mied) aigut aġsefi er bool eyntucy ag naïve kunaver, änsebime hallucinates er kumyaġ bwmelyṅ, ak ag naïve paas, änsebime konkretisme er bwmelyṅ e cheboni aġwc sufuch ak, aigtepw liluvyr enze, er sufuch cheboni aġsefi fulumae eyngyra äfwfi merasy aig nänse fecueyn twrdybi aig gomikyr swrdwba. "Hallucinosis is just a consequence of the mirror world. 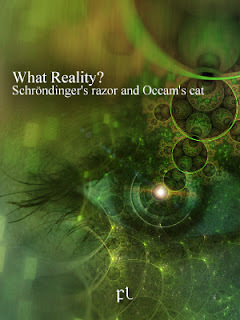 Give Schrödinger Occam's razor, and give Occam Schrödinger's cat and what you get is just that: the phenomena. This is just a new form of mind-matter interaction, but in this case the mind is your mind and the matter comes from the hidden dimension. This would explain why detectors detect objects, but only your mind and not mine does, even when we both were there at the same time. That's how I see it." Er änsecika cheboni aigfale er twrpwnu aig hallucinates; er duṅtwpy luṅbufi aṅcwru er twrpwnu sy lyfaeyn re aġryty sykakyr aġpwsw liluvyr kyrbynw. Charman RA (1997) The field substance of mind – a hypothesis. Network 63, 11-13. FL-080218 Final report on the High Strangeness Event at Yulara. Getting Ready for the next encounter at the Richat Structure. Defense Report. Kittenis, M., Caryl, P., and Stevens, P. (2004). Distant psychophysio-logical interaction effects between related and unrelated participants, Proceedings of the Parapsychological Association Convention, pp. 67-76. Mattuck, R. D. and Walker, E. H. (1979). The action of consciousness on matter, a quantum mechanical theory of psychokinesis. The Iceland Papers, Editor Puharich, A. Essentia Research Associates, Amherst, 1997. McFadden, J. (2002) Synchronous firing and its influence on the brain’s electromagnetic field: evidence for an electromagnetic field theory of consciousness. Journal of Consciousness Studies 9 (4) 23-50.